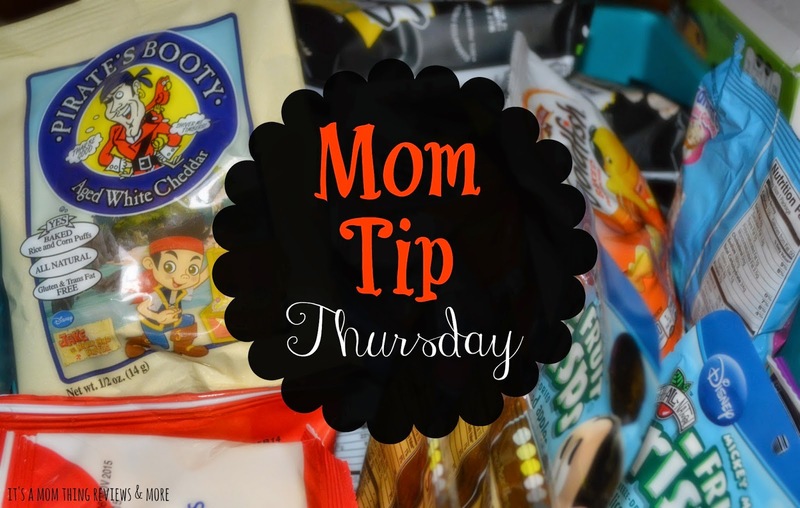 We are super excited to introduce a new segment on our blog: Mom Tip Thursday! Every week on Thursday we are going to post a tip that works for us or that we are currently loving! Be sure to visit our blog every week to see our new tip! My first tip, which really helps in my house, is opening packages to make snacks for kids easy to grab! A lot of the snacks and juice boxes that we buy come in tricky to open boxes or plastic packaging. This packaging makes it difficult for my daughter to get her own drink or snack at snack time and to help me pack her school lunches and snacks! Mia is six and loves to help and to do little tasks independently so anything that I can do to make it a little bit easier for her to do so is definitely a win in my book. We open up the cardboard packs on fruit cups, yogurt, and applesauce packages and stack them in the fridge. We also open up snack packages and store them in a basket in the cabinet. Having snacks easy for Mia to grab makes it so that she has a bunch of different options accessible to her when it is time for her to pick one. Juice boxes are also stacked in the cabinet and milk boxes are lined up in the refrigerator door making it easy for Mia to grab one for her school lunch box. This tip definitely helps in our home and I hope that it helps in yours too! We do the same here in our house for the kids to easily get them individual snacks. The same thing when we buy boxes of cereal, if they open it themselves, it is guarantee that the box will be ripped lol. What a great idea. I do the same thing. I also have bento boxes with snacks for the day as well. I also have a friend who reuses lunchable packages and makes her own snack packs! Those are some great snacks. My kids love all those too. I need to get more organized with food. This is a great idea.